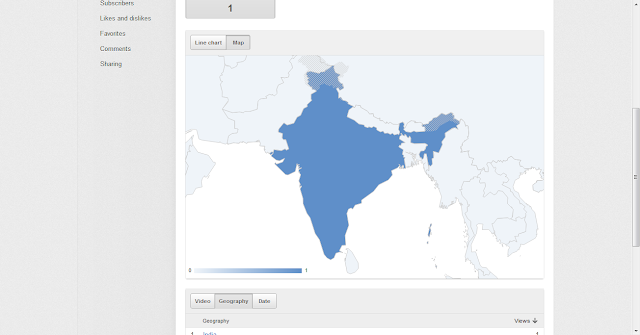 My Thoughts: Wrong India Map in "YouTube Analytics"
Recently India came to know that "India Map" has been shown wrongly in US. But this is the same even with YouTube. Hopefully very soon YouTube will show the India Map correctly.